This post was sponsored by Fashion Outlets of Las Vegas but all opinions are 100% our own. We had the best time at the Fashion Outlets of Las Vegas, they have over 60+ stores of all different stores. If you are on your way to California they are a definite stop by on the I-15! We went to the Williams & Sonoma outlet, which is the only one on the west coast! We couldn't believe the discounts, at least 30% off most everything in the store. We thought it would be fun to get an easy boxed cookie recipe for our kids to help us make some cookies! We also bought some other baking essentials to help. In the summer we have to find activities for our kids indoors because it is so hot here! 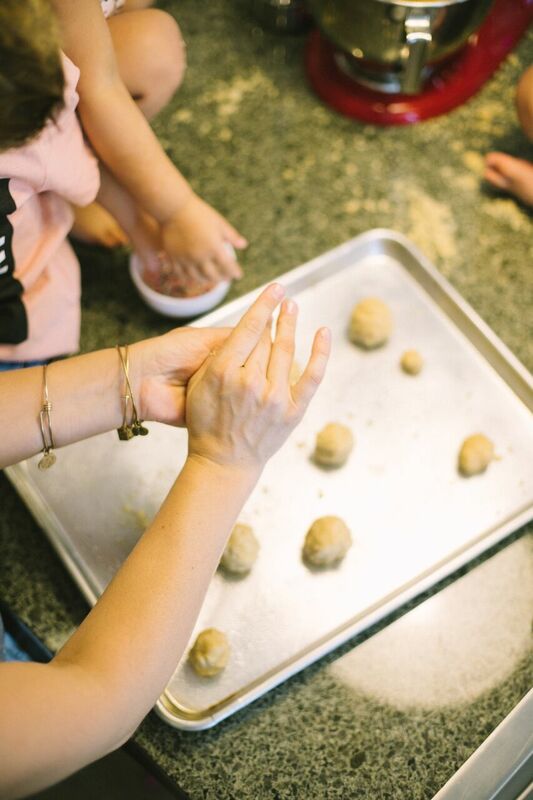 We love baking with our kids, and they love it even more! Keeping it simple is key, lets be honest they can get impatient! 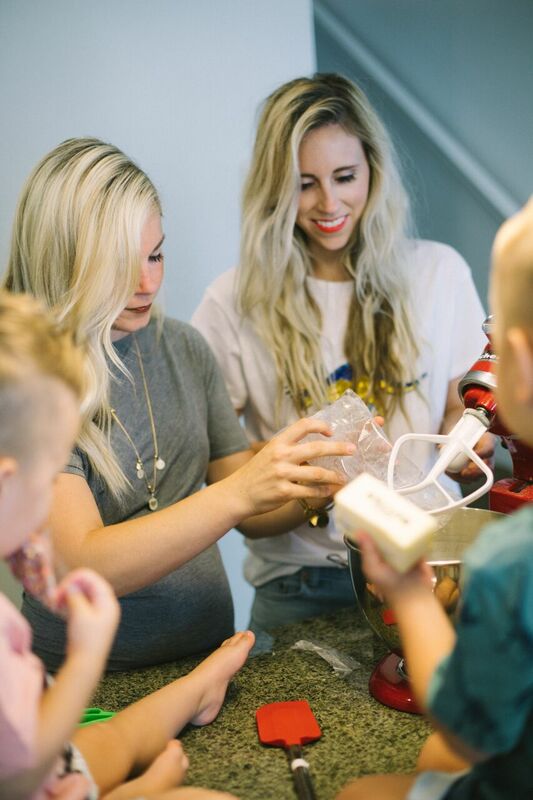 We have 3 of our favorite recipes to bake with our kids below for you to try out! Preheat oven to 350 degrees. In a mixing bowl cream sugar, brown sugar and butter, then add egg, vanilla and flour. Mix together until smooth. Grease a large cookie sheet. Press out all of cookie dough on to cookie sheet getting as close to edges as possible (about a 1/3 of an inch thick). Bake for 15 min. Spread a bag of melted chocolate chips on top. Let cool, and cut into squares to serve! Preheat oven to 375 degrees. Cream butter and both sugars, add eggs and vanilla and mix well. Mix dry ingredients in a separate bowl, then add to sugar mixture. Mix in chocolate chips. Chill for at least one hour. Grease cookie sheet. 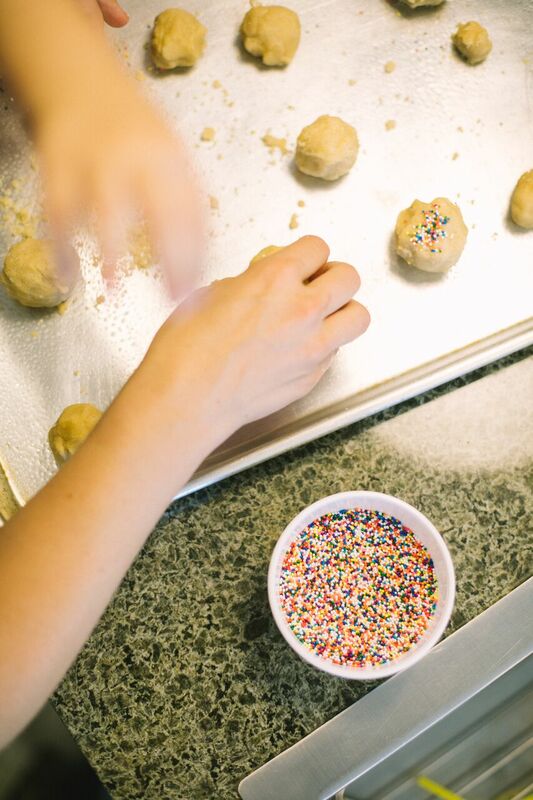 Use a spoon to create small balls and place on cookie sheet. Bake for 8-9 minutes. ENJOY! Preheat oven to 350 degrees. Cream all ingredients together and mix well. Use two well greased bread pans and pour half of batter in each one. Bake for 45 min. Enjoy! 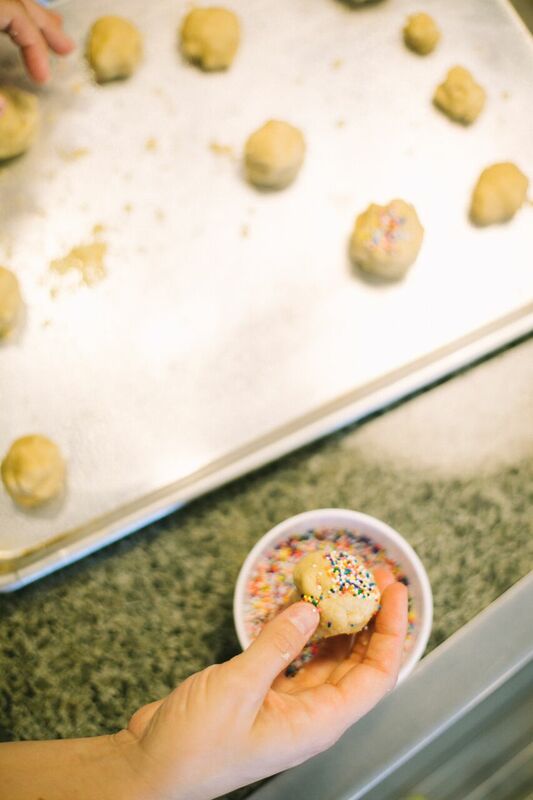 You can also add chocolate chips if you would like a sweeter treat! I also got to shop around the outlets for some cute new outfits for out littles and I had so much fun! They have some great children's clothing stores there such as H&M, Old Navy, Gymboree, Gap Kids and Carter's. It would be an amazing place to go back to school shopping!